Crusaders got their Super Rugby 2019 campaign off to a winning start as they edged out Auckland Blues 22-24 at Eden Park on Saturday. Featuring for New Zealand in their title defence in the 2019 World Cup is all in Ma'a Nonu's mind as he aims to revive his All Blacks career. New Zealand Rugby has confirmed that Rieko and Akira Ioane have signed new deals with the national board, Blues and Auckland Rugby. Blues have confirmed that New Zealand legend Ma’a Nonu will make a return to the province ahead of the 2019 season of Super Rugby. 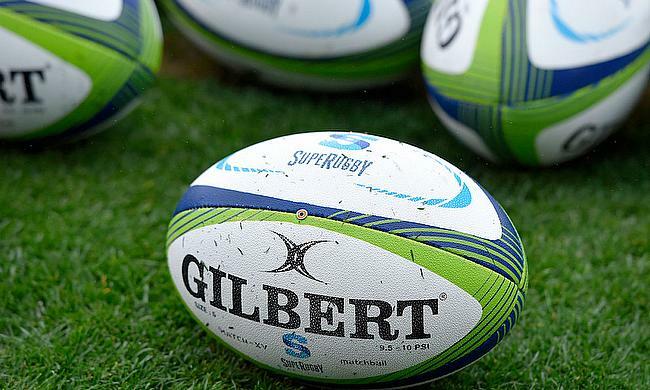 New Zealand Rugby has confirmed the purchase of 40 percent stake in the Auckland Blues after the Super Rugby side failed to make a mark both on and off the field. Blues have confirmed the signing of New Zealand international Karl Tu'inukuafe from Super Rugby rivals Chiefs after signing a three-year deal. Crusaders came up with an eight-try riot as they trounced Blues 54-17 in their Super Rugby encounter at AMI Stadium on Saturday. Ngani Laumape scored four tries as Hurricanes completed a 42-24 win over Blues in their Super Rugby encounter at Westpac Stadium on Saturday. Blues have confirmed that both Rieko and Akira Ioane have penned new deals with the Super Rugby club. Blues managed to return back to winning ways as they eased past Queensland Reds with a 39-16 win in their Super Rugby encounter at Eden Park on Friday. Bill Meakes scored a double as Rebels stretched their winning streak to three games following their 10-20 victory over Blues in their Super Rugby encounter at Eden Park on Saturday. The 15th week of the ongoing Super Rugby saw Crusaders stretch their winning streak to claim the pole position in the overall standings and Lions and Waratahs have managed to remain in top three despite their mixed outing in the second half. A dominant first-half performance saw Crusaders then overcome Blues with a 24-32 triumph in their Super Rugby encounter at Eden Park on Saturday. Hurricanes registered their ninth win from 10 games as they trounced Auckland Blues 15-36 in their Super Rugby encounter at Eden Park on Friday. Jaguares sealed their first win over a New Zealand side as they defeated Auckland Blues 13-20 in their Super Rugby encounter on Saturday. Flanker Shannon Frizell scored a hat-trick as Highlanders went on to beat Blues 16-34 in their Super Rugby clash at Eden Park on Friday.